In the world of bonusing, Hyatt has been relatively quiet outside of their current systemwide double points offer. There haven’t been many promos with their airline partners and a lot less individual hotel stay bonuses. So when an offer comes up it’s worth noting and hence today’s bonus offer highlight is a new Hyatt bonus! For most of the summer and into the fall Cathay Pacific Asia Miles members will be able to earn double miles for Hyatt stays across the Asia Pacific region. You can book the offer already but the bonus doesn’t kick in for stays until July 1st. Other bonuses added today that you should also look at are the BA Shangri-La offer, Hyatt Fast Track to Elite Status offer and Miles & More’s Europcar status match. Programme that is equal to your status in the Miles & More program. More… Until ? 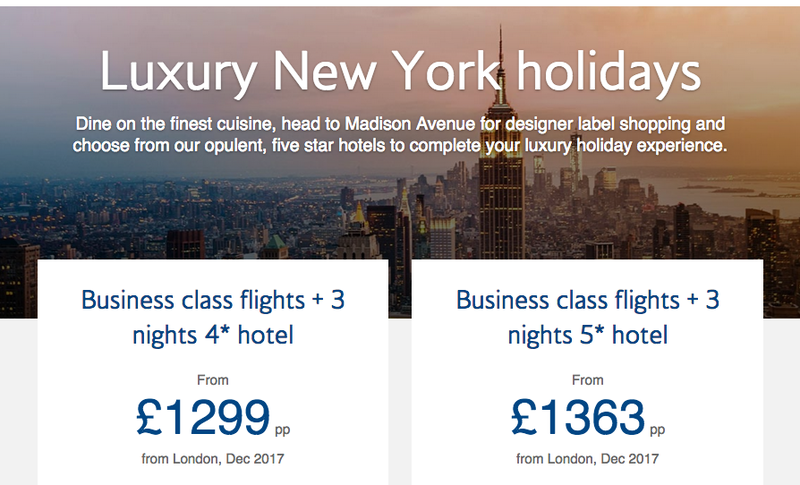 British Airways: London to New York Business class flights + 3 nights hotel from only £1299 pp. Find out more here.